Yes, it’s true: I had potentially landed a paid assignment! Does this mean I am a professional writer now? Here’s the rub: nearly every major magazine’s submission guidelines request three clips to accompany the query. Well, I had a grand total of zero clips. I mean, let’s face it: as much as I would like to have an article published in Cosmo or Vogue, it ain’t gonna happen without a strong portfolio. 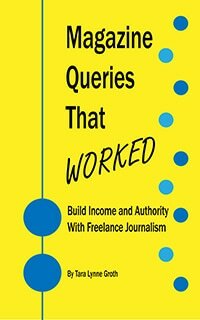 So my strategy was to start at the bottom of the food chain, secure a nice cache of articles and then–bam!–start getting work in the larger publications and become a six-figure freelance writer. Okay, it may be a bit delusional, but a girl can dream, can’t she? So I decided to tap my past work experiences to develop into articles for industry specific magazines. Trust me, I have held the garden variety of jobs. In one prior life I was an Auto Claims Adjuster. Yes, I was the one who determined who was at fault in a car accident and was subsequently cussed out nearly every day in various languages. One driver was so enraged with my decision that she showed up at my office looking for me, but I’ll save that story for another blog. Anyway, the one thing that many drivers couldn’t seem to understand is that liability wasn’t determined by who received the ticket from the police officer; tickets are a traffic statute violation and accidents are civil issues–two very different things. I decided that this would be a great, informative article for publication. And this leads us back to my paid assignment with AAA Carolinas Go Magazine, a bimonthly publication for AAA members. I found this magazine listed in the Writer’s Market and pitched an article between 500-750 words. ‘Ms. Nicole, we will need the article tomorrow. Your article will now be featured as a guest columnist for the VP of Insurance. I saved a draft of the article and proofread it the next day before forwarding it to the editor, a lesson learned from past experience. A few days later, the editor sent me an email: ‘Good job. We will use this in the November/December issue.’ Success!! I did a celebratory fist pump and another one when a check arrived in the mail. Yeah, baby! I’m on my way! DeLana Nicole is a freelance journalist and creative writer living in Cary, NC. She holds a B.A. in Written Communications and Journalism. She is hard at work on her first novel. Please check out her Facebook Fan Page and stay tuned for her upcoming website delananicole.com.